All products in the photo above are cruelty free. Of all the formulas, I believe Dirty Little Secret is the most comfortable. It’s the most light weight as well. As far as lasting time, they all relatively will last you the same amount of time (possibley all day) depending on how well you manage to keep it intact… how careful you are and what you eat. 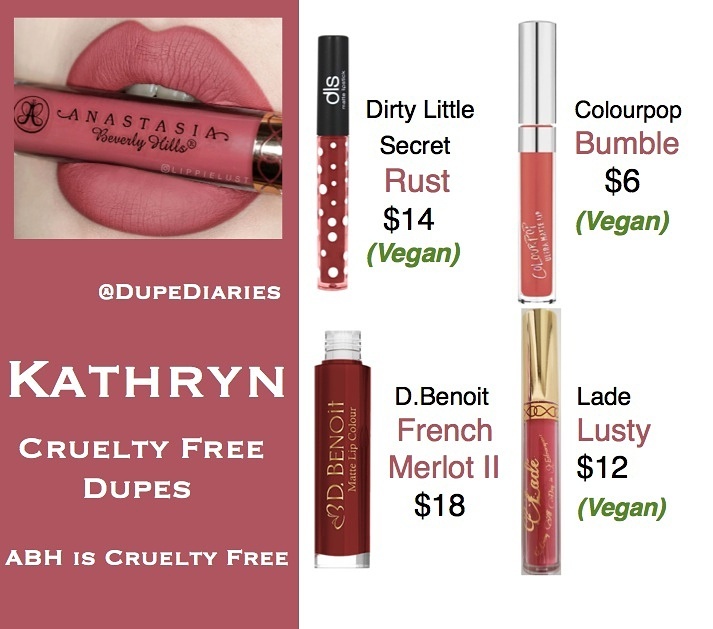 Kylie’s Kirsten liquid lipstick ($17) is also a good cruelty free and vegan alternative for this shade as well (I recommend using a lipliner because it can be drying).